Employee termination is often an unsettling process. Arizona employers can protect themselves from any fallout after an employee termination by understand the right way to undertake this step. Here are 11 tips that can help. #1. Never do an employee termination in anger. 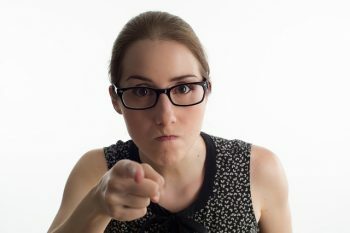 Anger has no place during an employee termination. This may seem obvious, but in the heat of the moment, self-control is very important. Evaluate the decision before you actually fire an employee. There may be another way, particularly if you are dealing with employee behavior that requires prompt action such as intoxication or use of illegal drugs at the workplace. Consider suspending the employee while preparing for a discharge. If in any doubt, contact an Arizona employment attorney. #2. Review the employee’s file and the company’s employment policies. An employee who is aware that his or her file contains a history of warnings, counseling, and opportunities to improve is less likely to consider suing for being fired. However, a longtime employee whose personnel folder is filled with adequate evaluations may conclude that the dismissal is motivated for reasons other than performance. A single instance of poor performance is not always grounds for termination. Instead, consider a written warning, demotion, or an opportunity to improve along with employee counseling. #3. Follow the company’s employee policy. Be sure to consistently follow the company’s written employment policies, including employee termination procedures. Employee termination in a nutshell: Make sure you have all your documentation in place and can remain calm. #4. Consider the timing of a termination. Pregnant women fall within a legally protected class. If a woman is fired soon after she tells her employer she is pregnant, it is easy to consider the two events related, regardless of what her personnel file shows. In addition, a pregnant woman may face financial constraints which may create a motivation to take a former employer to court. Additionally, juries may be sympathetic to a woman who was fired during pregnancy. #5. Document the reasons for employee termination. An employee file should provide a meaningful history behind a dismissal. An undocumented employee termination without notations about warnings or efforts to improve employee performance creates the impression that there was an improper and unlawful motive behind the decision. #6. Pay the employee at the time of discharge. This is not legally required in Arizona, but any money paid upon an employee termination may diminish the likelihood of a wrongful termination or other employee lawsuit. Pay the full amount for time worked, sick leave, vacation, or anything else. If you can offer a severance package, this is the time to do it. #7. Get someone to observe the employee termination interview. Employee terminations should be done in person. Because termination interviews are emotionally tense, an observer should be present. One person can communicate the decision while the other takes notes to document the meeting. If a manager elects to attend the meeting alone, he or she should draft a detailed report immediately that states what happened and what was said. #8. Use a termination letter. This is rarely required by law, but drafting a termination letter gives managers time to carefully think through what to say and how to say it. A termination letter should explain the decision to terminate employment and a general statement of the reasons behind it. It should not be a list of reasons, including any admission by an employee to an offense. Give the letter to the employee upon termination. #9. Be respectful to an employee about to be fired. Employee termination should be handled with as much tact and consideration as possible, regardless of the reason(s) for the firing. It may be helpful to use a neutral location, such as an empty office or conference room. A termination meeting that becomes insulting and disagreeable increases the chance for legal action. 10. Consider a severance agreement. I mentioned this in Tip #6. At times it it makes smart financial sense to offer a departing employee a modest severance package in exchange for an employee agreeing (in writing) not raise any claims or allegations against the company. Please read our section on Severance Agreements. If you are facing an employee termination or downsizing, be sure you understand what actions you can take to protect your company. Contact us for a consultation to make sure you handle employee terminations properly.